Judging Prince of Persia by the cover. 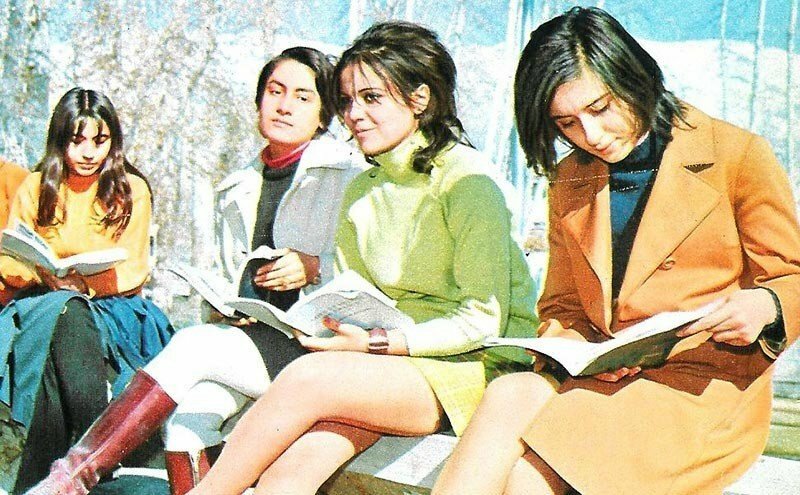 re: the woman looking Persian, don't forget Persia is what we used to call Iran, and it used to look different before the revolution. Very true. Say what you will about America's puppet government at the time (whose "persecutions" were against the type of people now running the show there), but at least women weren't treated as second-class citizens, at best. As for the video, I think Yahtzee is going to be in some hot water because of that last joke. One does not mock the Alphabet Bridgade and come away unscathed. Back when I played Prince of Persia: The Sands of Time, that game reminded my brother and I of Aladdin so much, we put off finishing the game until we watched that movie again. Yeah, because the government literally forced people to dress up in Western clothes so it could take staged photos of them and show the world how cool and progressive it was while the secret police were off abducting and torturing everyone. But yeah, it's very clear that the people who designed this game didn't know where Persia is, either that or the villain is just a random Arab dude in Persia for some reason. Apparently "Jaffar" (or "Jafar") means "stream" in Arabic. You could be forgiven for thinking it means "Evil vizier who intends to usurp the throne of the sultan", as that seems to be the only way the name ever shows up.